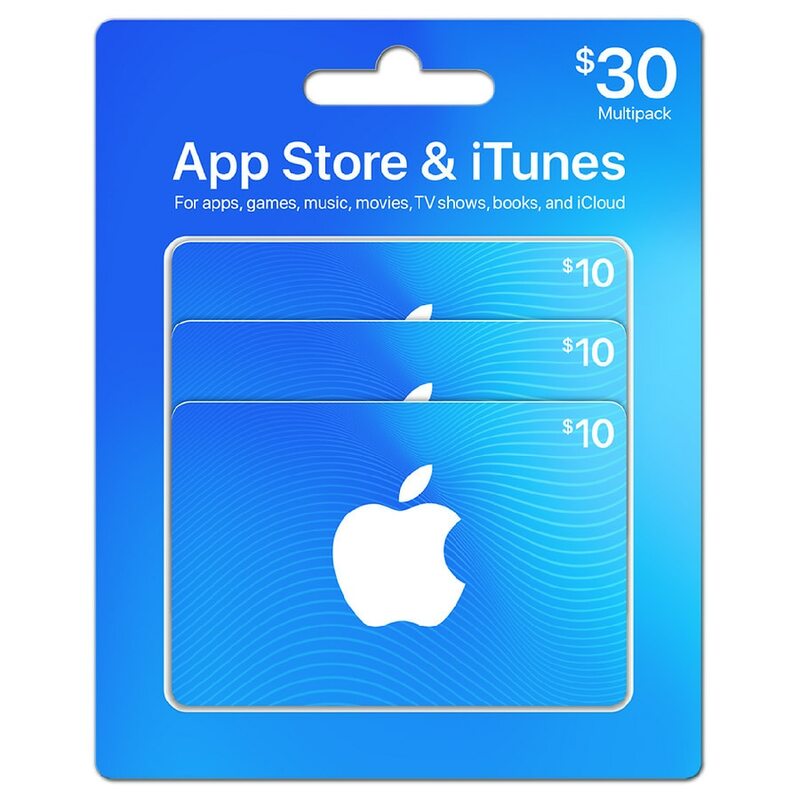 Three $10 gift cards. Get music, movies, TV shows, games, apps and more. Download your iTunes content to any Mac, PC, iPhone, iPod touch or iPad. Get iTunes for Mac or Windows, free of charge, at itunes.com. For assistance go to apple.com/support/itunes/ww. Prepaid cards have no value until activated at the register. © 2014 Apple Inc.